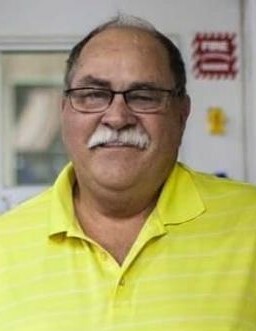 Mr. Charles Eugene “Charlie” Adkins, 66 of Owingsville, Kentucky, passed away Friday March 29, 2019 at the St. Joseph – Mt. Sterling Hospital in Mt. Sterling after a brief illness. He was born in Mt. Sterling on January 16, 1953 a son of the late Clyde and Lorene Hollar Adkins. Charles retired from the Bath County EMS where he had worked as an E.M.T. He had served as Fire Chief of the Owingsville Fire Department and was a former Owingsville City Council member. He was a former member of the Owingsville Lions Club and was a CPR Instructor. He along with his wife owned and operated Country Crafts and Gifts on Harrisburg Avenue. He enjoyed woodworking and making leather belts. He was a proud Papaw and especially enjoyed spending time with his grandchildren. In addition to his parents, he was preceded in death by one son Gregory Nelson Adkins, twin grandsons, Julian Lane Adkins and Chancelor Adkins and his father-in-law and mother-in- law Caywood and Farris Brierley. Survivors include his wife, Peggy Brierley Adkins, two grandchildren, Xander Ashton Adkins and Jules Elizabeth Adkins of Owingsville, four brothers Jerry (Jenny) Adkins, Jimmy (Lisa)Adkins, Randy (Cathy)Adkins, and Jeff (Kathy) Adkins all of Owingsville. One sister Linda Ferrell of Frenchburg. Also several nieces and nephews and other relatives and friends. He will be remembered fondly by many in the community and will be greatly missed by all. Funeral Services will be conducted at 11:00 A.M. Wednesday, April 3, 2019 in the chapel of the Michael R. Gray Funeral Home in Owingsville with Rev. Lowell Rice officiating. Burial will follow in the Owingsville Cemetery. Visitation will be after 5:00 P.M. Tuesday at the funeral home. Pallbearers will be Bath County EMS. Honorary Pallbearers will be Owingsville Fire Department. The Michael R. Gray Funeral Home in Owingsville is handling the arrangements for Mr. Charles Eugene "Charlie" Adkins.